Today, to finish of our HART Sport inspired drills, it seemed appropriate to share a finisher drill with you. This drill requires a special set of dice but with some creativity I’m sure you could modify it to work with any set of dice. HART Sport sent me these crazy 10 sided dice. On one die is the reps (from 2 to 20) and on the other die there are exercises written. These are just your standard, run of the mill exercises, so I wanted to do something where we could jazz it up. Get your campers into groups of 3 or 4 of similar fitness levels. Designated each group as level 1 (beginners), lever 2 (intermediate) and level 3 (advanced) based on their fitness level. Groups find themselves an space in the workout area. Place the dice and pegs in the center, you might need a couple of sets of dice for a big group. Before you start have one person from each group come up and roll the dice. The numbered die gives them the reps, the exercise die gives them the exercise (see below) for their first exercise. On ‘Go’ groups do their first exercise (eg. 16 Push Ups each). Once completed, one team member runs to the center picks up a peg (denoting one point for their team) and then rolls the dice for the next exercise and reps. They run back to their group, do that exercise, and it starts all over again. Teams complete as many reps as they can in 7 minutes. The team with the most pegs wins. In all cases, one sided exercises (eg. Lunges), reps need to be completed for both sides. Don’t be limited by just push ups = a push up variation though. You might choose to really mess with your campers heads by making burpees = push ups and sit ups = kettlebell swings. Just have it all marked up on a whiteboard. One last thing before I go. I just wanted to say thank you to HART Sport for being a great sport (oh yes! The puns are strong) and looking after the Bootcamp Ideas community this month. The 15% discount they’ve offered us is still good through to the end of August, so jump in and grab something before September 1st to claim it. 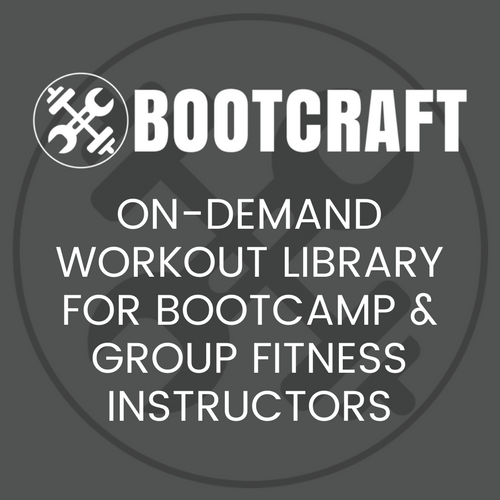 The code you’ll need on checkout is BOOTCAMP15.